Marvin Olasky is an American Presbyterian academic, author and former informal advisor to George W. Bush who serves as editor-in-chief of World Magazine, a news biweekly based in North Carolina with 400,000 readers, most of whom are conservative evangelicals. A former atheist who left the Communist Party U.S.A. in 1973 and became a Christian in 1976, Dr. Olasky holds a Ph.D. in American culture from the University of Michigan and a B.A. in American studies from Yale University. His many books include the landmark The Tragedy of American Compassion, a private sector-based blueprint for fighting poverty through churches and philanthropy, which Newt Gingrich distributed to incoming Republican representatives of the 104th Congress in 1995. This book later defined the phrase “compassionate conservatism” for then-Governor Bush’s presidential campaign platform on welfare and social policy. Dr. Olasky and his wife, the writer and author Susan Olasky, have four sons and one granddaughter. 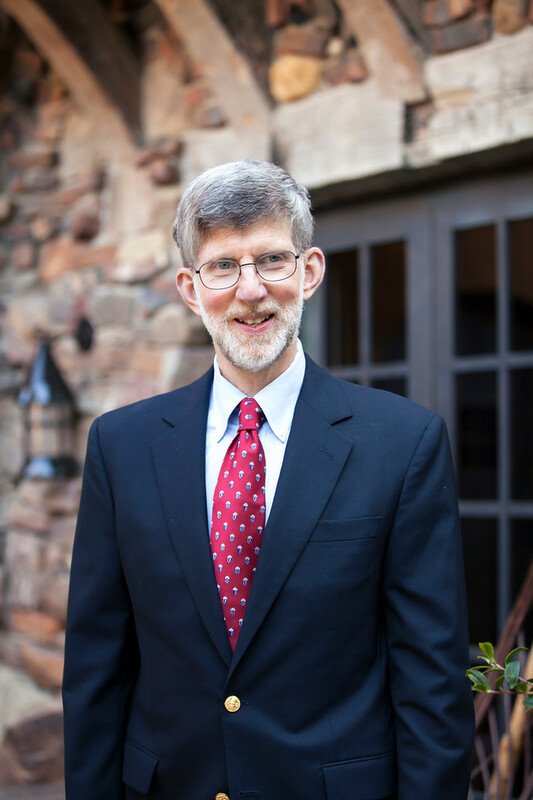 Dr. Olasky is currently dean at the World Journalism Institute, a senior fellow at the Acton Institute and a ruling elder within the Presbyterian Church in America. He served as a professor at the University of Texas at Austin from 1983 to 2007 and as provost of The King's College in New York City from 2007 to 2011. Dr. Olasky first joined World Magazine in 1990, becoming editor in 1994 and editor-in-chief in 2001. Earlier in his life, he also worked as a reporter at The Boston Globe. On March 21, I interviewed Dr. Olasky by email about compassionate conservativism and the 2016 presidential election. In the late 1990s and early 2000s, you rose to prominence in Republican circles for coining the phrase “compassionate conservatism,” which George W. Bush later picked up in his presidential campaign on your advice. What does “compassionate conservatism” mean to you? In an interview with Mike Huckabee on Oct. 10, 2009, you denied that the Bush administration had actually implemented compassionate conservatism, saying "it was never tried." What future do you see for “compassionate conservatism” in the current crop of Republican and Democratic presidential candidates? Many hopeful signs earlier this year: Seven G.O.P. candidates, plus House Speaker Paul Ryan and South Carolina Senator Tim Scott, participated on Jan. 9 in a forum on poverty. Most of them sounded compassionate conservative themes. Sadly, about 35 percent of Republican voters so far have apparently felt so disrespected by political and cultural leaders that they’ve rallied to Donald Trump, who has run over lots of people in his pursuit of self-aggrandizement. In your monthly Insiders Survey of 103 evangelical leaders and influencers, published by World Magazine, U.S. Sen. Marco Rubio (R-FL) consistently polled as the “top presidential pick of evangelical insiders" from last August through February. How did Mr. Rubio's withdrawal from the presidential race affect this opinion? In our survey toward the end of March, three-fourths named Ted Cruz as their top pick; 15 percent were for John Kasich, 5 percent for Donald Trump. Almost half said they were disappointed by the way things were going, and a slight majority said they would write in a name or abstain from voting if Trump and Democratic front-runner Hillary Clinton became the only options. Why did Marco Rubio, who is Catholic, appeal to evangelical Christian insiders more strongly than a Southern Baptist like Ted Cruz? Mr. Rubio is articulate, able to unite different parts of the G.O.P. and seems to have a biblical worldview. Mr. Cruz was a strong second and also appeals to evangelical Christian leaders. World Magazine, which you edit, bills itself as a leading news source for Christian right evangelical Protestantism. How do you define this group and what kind of readers do you reach within it? We like to report good news but we don't make it sticky-sweet. We also report bad news because Christ's grace becomes most meaningful when we're aware of sin. We want to be tough-minded but warmhearted. We are dependent on God and independent of any political faction or interest group. We don't let advertisers influence news content. We criticize corruption, even when (sometimes especially when) it erupts among Christians. We avoid sourcery, where unnamed sources spin the news their way. We look for provocative and evocative news stories that are the result of pavement-pounding rather than thumb-sucking. We stand for factual accuracy and biblical objectivity, trying to see the world as best we can the way the Bible depicts it. Journalistic humility for us means trying to give God's perspective. We distinguish between issues on which the Bible is clear and those on which it isn't. We also distinguish between journalism and propaganda: We're not willing to lie because someone thinks it will help God's cause. We believe in a God who tells the truth and wants us to do the same. Some political observers believe the “religious right” is dead as a significant voting bloc, noting that Catholics are far more influential than evangelical Protestants in national politics today. What is your response to this perception? Weren’t many Catholics part of the religious right? Catholics are certainly far more influential than evangelical Protestants on the Supreme Court. But here’s one thing to keep in mind: Pollsters see the percentage of “evangelicals” in American society as anywhere from 6 percent (those who hold biblical beliefs) to 40 percent (those who say they are “evangelical” or "born again"). The former figure means some influence on thinking, the latter big influence in voting. I suspect the lesser percentage is much more accurate. The question of Catholic influence might require similar assessment. If Catholics committed to biblical values were more influential we wouldn’t have as much abortion, non-marriage and divorce. What do Republican candidates need to do, and what do they need to avoid, to court Christian evangelicals in this year’s general elections? Do, with the tighter definition of evangelical: Commit to protecting unborn children, helping the poor (and immigrants) biblically and defending religious liberty. Avoid: Pretending that militant Islam and radical cultural change are of no real concern. What do Democratic candidates need to do, and what do they need to avoid, to court Christian evangelicals in this year’s general elections? Do: Defend unborn life. Avoid: Saying it’s fine for the propensities of a few to wipe out religious liberty for many. What role do you see religion playing in this year’s U.S. presidential election? Religion (defined as worldview) is big in every election. Religion (defined institutionally) will be important if Ted Cruz is the G.O.P. candidate. It’s been a long time since “compassionate conservatism” hit the Republican Party. How have national politics changed from the past few presidential elections to now? Elections from 1992 through 2000 largely ignored foreign policy and national defense, but those questions are key now and the two major parties are far apart on them. Many voters are angrier. In your student days, you abandoned atheism and communism to become a Christian, and you are now a Presbyterian elder. How has your faith evolved or changed over the years? I am more aware that God’s mercy is my only hope in life and death. Who are your role models in the Christian faith, either living or dead? Paul, Augustine, John Calvin, John Foxe, Benjamin Harris, John Peter Zenger, Samuel Adams, Patrick Henry, John Newton, William Wilberforce, Thomas Chalmers, Henry Raymond, Charles Hodge, John Gresham Machen, Whittaker Chambers, Joel Belz, Susan Olasky. Thinking of the acronym ACTS—adoration, confession, thankfulness, supplication: Lots of of the last two, not enough of the first two. Usually in my own simple words. At night, the Lord’s Prayer. Although you are an evangelical, you also belong to a mainline Protestant tradition. What led you to become a Presbyterian and why do you remain one? Presbyterians have split. The mainline Presbyterian Church USA supports abortion and other unbiblical practices. I’m a member of the Presbyterian Church in America, which is part of the biblical tradition but not the mainline Protestant one. The mainline Protestant denominations, including your own Presbyterian tradition, have been in steady demographic decline for a while now. How do you explain this trend? Big picture: God still cares for those who turn their backs on Him, but He does not bless them. Little picture: Why go to church if it’s more a club than a faithful, Bible-believing institution? Our current pope has been friendly to Protestant evangelicals and to charismatic Catholics, even recording a warm video message to Kenneth Copeland Ministries two years ago. If you could say one thing to Pope Francis about evangelical Protestantism in the United States, what would it be? I am happy to work together on fighting abortion and materialism, supporting marriage and religious liberty. What are your predictions for the U.S. presidential primaries and general election this year? Democrats seem to have chosen their New Deal establishment candidate, although many young Democrats showed they weren’t sleeping through classes with leftist professors. The failure of the Rubio campaign shows that many Republicans were too depressed and alienated to embrace an optimistic vision. A plurality of Republicans are looking for a strongman, so we’ll see whether Mr. Trump garners enough delegates to win on the first ballot. If he doesn’t win then, it’s doubtful that he’ll win at all. God saves sinners: We don’t save ourselves. God’s in charge: We are not. We should strive to have an integrated life and not check our beliefs at the door. We don’t have to fall into either materialist objectivity or existential subjectivity: We can be biblically objective. Apart from Christ, we have no logical hope. Thanks everyone for reading. Let's continue to pray for a compassionate and peaceful outcome to our election season.